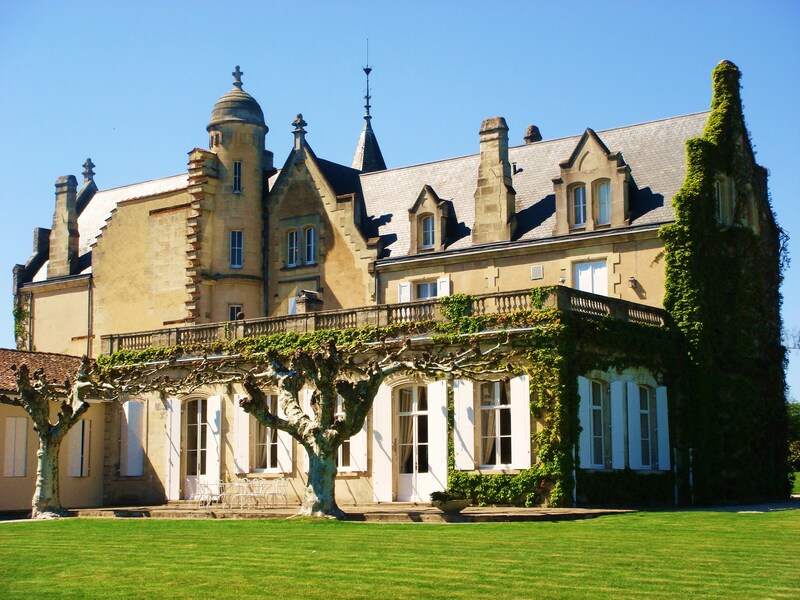 Château Lascombes was revolutionised by the Colony Capital group in 2001. For years it languished under the ownership of the UK Bass-Charrington group who purchased it from Alexis Lichine in 1972. Lots of work in the vineyards and a new chais along with all manner of winemaking interventions now produces rich, extractive new wave style Margaux wines. This is not everyone’s cup of tea I’m sure but the wines are a far cry from the hollow, washed out examples produced here in the 1980s and early 1990s – real ambition here with wines to match. Michel Rolland advises. Second wine Chevalier de Lascombes. The property was sold in 2011 for £180 million to a French health insurance group MACSF. Vineyard/Soils: 84 hectares planted with 50% Merlot, 45% Cabernet Sauvignon and 5% Petit Verdot. Three different terroirs – clay/limestone, clay/gravel [Merlot predominant] and gravel [Cabernet Sauvignon/Petit Verdot]. Fruut picked into small crates, sorting in the vineyard and the chais. Winemaking/Elévage: Since 2001 new chais restructured over 4 levels and gravity fed. Smaller fermenters to allow parcel by parcel fermentation. Like Château Charmail there is a pre-fermentation maceration [under carbon dioxide] at a chilly 8C to help colour extraction and retain aromatics, followed by fermentation at 28C and maceration at 30C. Malolactic fermentation in barrel, 80% new French oak. Barrels rotated on racks to keep lees stirred and racked with compressed air every three months [no pumping]. Barrel aged for 18-20 months.